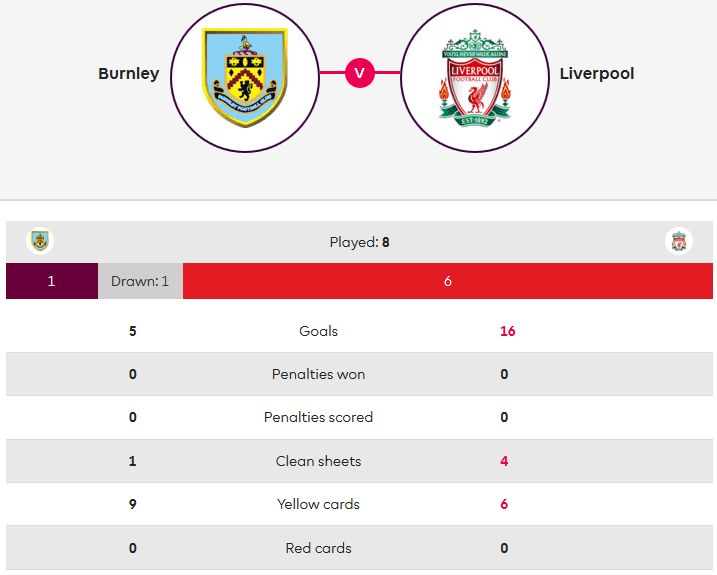 If form alone decided football matches, betting would be suspended on tonight’s meeting of Burnley and Liverpool at Turf Moor. The Clarets have won just twice in the Premier League this season, the last of those coming at the end of September, and their last seven games have yielded two points. 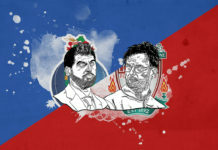 Their season’s total of nine points has been matched by the Reds in their last three games along, Jurgen Klopp’s team stubbornly maintaining their pesky shadow around leaders Manchester City after Divock Origi’s dramatic stoppage time winner in the Merseyside derby. One would think that it’s simply a matter of Liverpool turning up to collect the points from their beleaguered opponents. 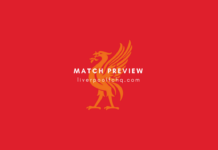 However, this is a fixture which has tripped up Klopp’s men in the not so distant past – and very nearly did in its most recent instalment as well. The contrast in form could hardly be starker. Liverpool have earned 16 points since the October international break, almost twice as many as Burnley have managed from more than double the amount of games so far this season. 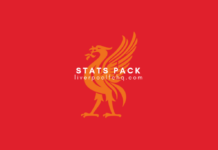 Only Arsenal have taken points off the Reds in that time, while only the Gunners and Cardiff have breached what is now the meanest defence in the top flight, with just five goals going past Alisson in domestic fixtures this term. Burnley shipped that amount on their visit to Manchester City in October, going on to concede four each against Chelsea and West Ham in subsequent games. A scoreless draw at Leicester was welcome relief before defeats to Newcastle and Crystal Palace, neither of whom are wholly prolific, saw them drop to second bottom in the table. In their last six games, they have shipped nearly half as many goals (17) as they conceded in the entirety of last season (39). 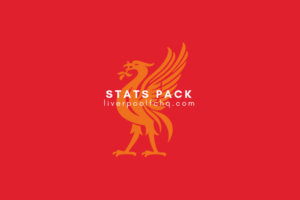 Just as the form book tilts heavily in Liverpool’s favour, so too does their record against Burnley in four Premier League seasons across a nine-year span. The Clarets’ only win in this division against Liverpool came near the start of the 2016/17 season, while the only time they have taken points at Anfield was in a 1-1 draw in September 2017. The teams’ first Premier League meeting came at Anfield early in the 2009/10 season when Liverpool strolled to a 4-0 victory. That scoreline was repeated in the latter weeks of a campaign which saw Burnley relegated straight back to the Championship. The Reds again did the double on their Lancashire opponents in 2014/15, winning 1-0 on Boxing Day with a Raheem Sterling goal and then triumphing 2-0 at Anfield during a midweek fixture in March. That season also ended in relegation for Burnley, but they got their revenge upon returning to the top flight two years later. With Anfield’s Main Stand not yet ready for opening in August 2016, the fixtures were reversed to give Burnley home advantage and they made the most of it, scoring twice in the first half to record a famous 2-0 victory. They also took the lead in the reverse fixture later that season, but Liverpool came from behind to win 2-1 despite a patchy performance. Burnley finally earned their first Premier League point at Anfield in September 2017, again scoring first through Scott Arfield before Mohamed Salah quickly cancelled out that goal. Just as they did at Anfield on Sunday, Liverpool began the calendar year by scoring a dramatic stoppage-time winner. After a goalless first half against a Burnley team pushing heavily for a European spot, Sadio Mane put the visitors ahead on the hour mark. With Liverpool closing in on what would have been just their second 1-0 win of the season, Johann Gudmundsson scored a late equaliser that appeared to have rescued a point for the Clarets. However, deep into added time, a hopeful ball was punted forward into the Burnley penalty area and it was the unlikely figure of Ragnar Klavan that got a head to it, steering the ball beyond Nick Pope to clinch a priceless victory for the top four-chasing Reds. So far this season, Liverpool have scored twice as many Premier League goals (26) as Burnley (13). Between them, Salah (7) and Mane (6) have the same number of league goals in 2018/19 as Burnley’s entire squad. Sam Vokes is currently Burnley’s top scorer with three league goals. Gudmundsson, who scored in the last iteration of this fixture, is one of three Clarets players on two (along with Ashley Barnes and James Tarkowski). Joe Hart is likely to start in goal for Burnley and Liverpool have a fine record against the ex-England number one. The Reds put four past Hart in a victory away to West Ham last season, having also done the same in the 4-1 hammering of Manchester City in November 2015.